The Oscar winners 2012 were not surprising to most. Billy Crystal returned for his ninth year hosting the awards. 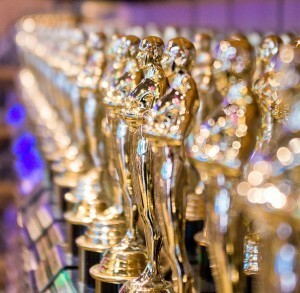 Most notable of the Oscar winners 2012 was “The Artist,” a black and white silent film celebrating Hollywood history, that took home five awards last night, tying with “Hugo,” a 3-D family film about an orphan directed by Martin Scorsese. “The Artist,” however, won the coveted Best Picture award. It’s the first silent film to win the Best Picture Oscar since the first Oscars in 1929. It is also the first black-and-white film to win since “Schindler’s List” in 1993. Michel Hazanavicius won Best Director for “The Artist.” “The Artist’s” French star, Jean Dujardin, won the Best Actor award for his mostly silent role portraying a fictional silent film star whose career is ruined by the advent of talkies. “The Artist also won Best Original Score and Best Costume Design. After a record setting 17 nominations, Meryl Streep took home her third Oscar, for her portrayal of Margaret Thatcher in “The Iron Lady.” When they called my name, I had a feeling I could hear all of america going ‘Oh no, come on, her?’ but whatever,” said an overjoyed Streep. Best Supporting Actress went to Octavia Spencer for “The Help.” Christopher Plummer won his first Academy Award last night for Best Supporting Actor. At 82, Plummer is the oldest Oscar winner ever. Woody Allen was predictably not present to accept his award for Best Original Screenplay for “Midnight In Paris.” In a category of only two nominations, “Man or Muppet” won the award for Best Original Song. Previous ArticleTop 10 Ways to Beat Spring Fever and Stay in ClassNext ArticleJennifer Lopez wardrobe malfunction?